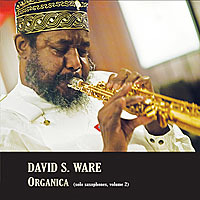 David S. Ware played the saxophone for over 40 years. First in New Jersey public school bands, and in informal practice sessions with Sonny Rollins as a youth in the '60s; then as part of the fertile NYC Loft Jazz era of the '70s. During this decade, he joined the Cecil Taylor Unit and Andrew Cyrille's Maono. He also worked together with drummers Beaver Harris and Milford Graves. In the early '80s he toured Europe with both Andrew Cyrille and his own trio. In mid-decade, Ware purposefully engaged himself in a period of extensive woodshedding - in order to further develop both his personal sound and his visionary group concept. 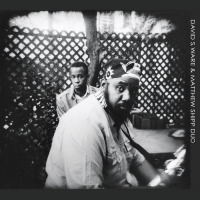 The band that David meticulously assembled and has kept together in order to actualize this very special music is composed of: WILLIAM PARKER-himself a cornerstone of the new music, and one of the most brilliant bass players in the world, MATTHEW SHIPP-the most consistently compelling, inventive and provocative pianist to arise in this day. Drummer GUILLERMO E. BROWN was added to the lineup in February of '99. David was quick to recognize the fire and passion of this rapidly growing musical talent. The second album for Columbia Jazz, 'Surrendered,' was recorded in October 1999 and released in May 2000. 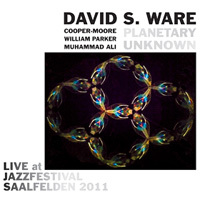 It featured interpolations of Charles Lloyd's “Sweet Georgia Bright” and Beaver Harris' “African Drums,” as well as four beautiful new compositions by Ware. Overall more gentle in spirit than anything before in his now vast oevre, 'Surrendered' fully showcased the deep sense of swing that has always been at the root of the Ware Quartet's music. Once again, the new album was hailed by elated critics and fans. The Quartet played this material live throughout the year, including performances at each of the four Bell Atlantic Jazz Festivals, culminating in a free outdoor performance at Columbia University in NYC. 10,000 attendees were held enraptured by the power, grace and melodic invention of the David S. Ware Quartet in full force. After making two albums for Columbia, things floated there the way they floated, and ways were parted in December 2000. Wasting no time, Ware brought his Quartet into the studio in February of 2001, with yet another expansion of the sonic template. The sessions yielded the epic 'Corridors & Parallels' album, which features Matthew Shipp on synthesizer for the first time, and showcases the improvisational mastery of this tremendous group. Summer of 2001 yielded two more tours of Europe, and a very successful tour of the U.S. West Coast. The September 2001 release of 'Corridors & Parallels' was prefaced by a debut engagement at the Blue Note in NYC. Rave reviews of the summer's performances, and the new album itself, were par. 'C & P' was chosen as among the Year's Best Jazz Releases in the Village Voice, Jazz Times, Boston Globe, LA Weekly, Seattle Weekly, and the Washington City Paper. 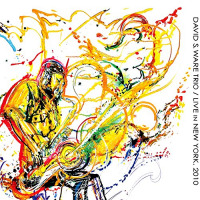 In April 2002, the SFJAZZ organization invited David S. Ware and Quartet out to perform Ware's 're- imagining/interpolation/re-arrangement' of Sonny Rollins' 'Freedom Suite'. This piece was subsequently performed at the Le Weekend Festival/Stirling, SCOTLAND, Vision Festival/NYC, Discover Jazz Festival/Burlington VT, and Suoni Per Il Popolo Festival/Montreal, QUE. In July, AUM Fidelity brought the Quartet into the studio to record this very special work, released to the world in October 2002. Indeed. Absolutely dynamite. All About Jazz musician pages are maintained by musicians, publicists and trusted members like you. Interested? 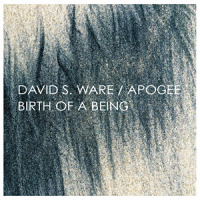 Tell us why you would like to improve the David S. Ware musician page.